Marble-tiled bathrooms, jacuzzi bathtubs and custom furniture are but a few of the details that make the Electra Palace Athens luxuriously enjoyable. This landmark hotel is within walking distance of exclusive shopping areas, museums and the business district. Escape to the GB Spa Athens for a signature massage or beauty treatment and keep your workout routine on track at the Fitness Studio. 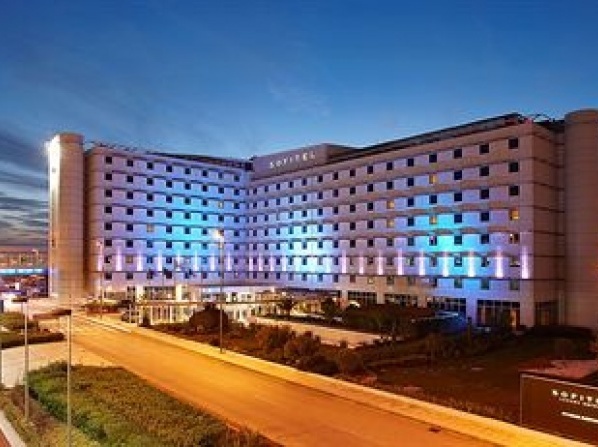 The Margi’s luxury accommodation in Athens, including 89 guest rooms and suites, is designed to inspire you. All rooms have private terraces with a magnificent view. A hotel that offers the only Thalassotherapy center in Attica with lavish guest rooms and suites, a private beach, outdoor swimming pools and extensive business and event facilities. 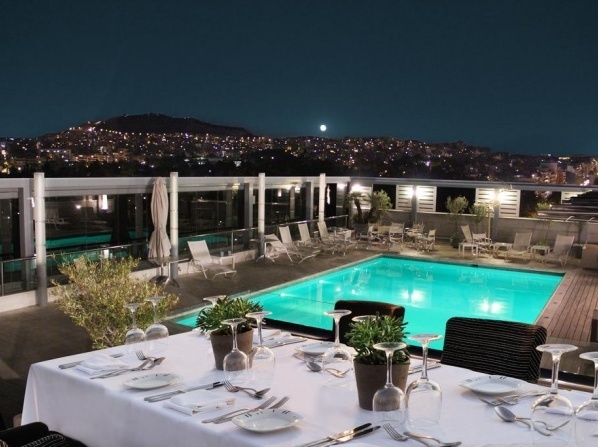 The property offers elegant rooms and suites, a variety of restaurants and bars, a rooftop health club and an indoor/outdoor swimming pool with amazing views to the city. This brand new luxury hotel stands in a prominent central location and it offers free Wi-Fi, a Mediterranean restaurant and a fitness area. All rooms of this luxury designed boutique hotel offer a lavish variety of contemporary facilities and deluxe amenities. 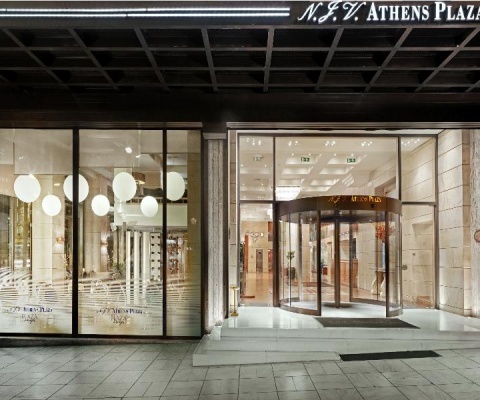 The branded furniture, the minimalist design and the natural decoration details reflect the chic vibrancy of Athens. Guests are welcome to balance their energy with a stroll amidst the gardens, relish homemade specialties at the hotel’s restaurant and release stress with a dive in the swimming pool. 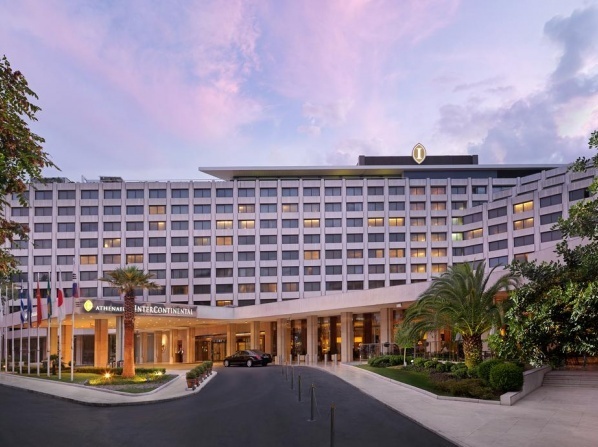 With 345 contemporary soundproofed rooms including 13 suites this 5-star hotel offers an executive lounge plus meeting and banqueting venues for up to 700 guests and two restaurants serving 24-hour Mediterranean dishes and gourmet French cuisine. 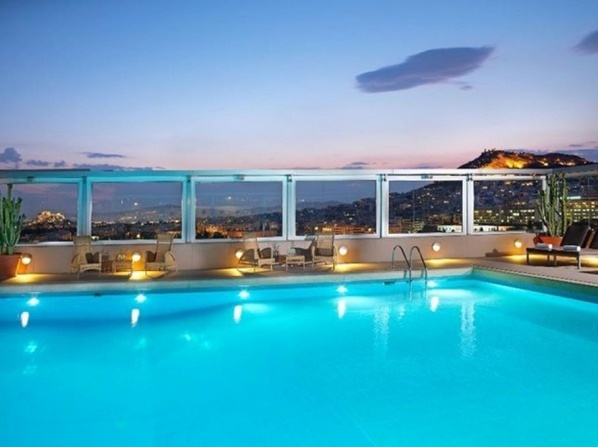 Hilton Athens features the largest hotel outdoor pool in the city centre, 4 restaurants, 2 bars and impressive Acropolis and city views from the guestrooms as well as from the rooftop Galaxy Bar & Restaurant. The hotel features an outdoor swimming pool, fully equipped fitness center, sauna, spa and massage treatments. 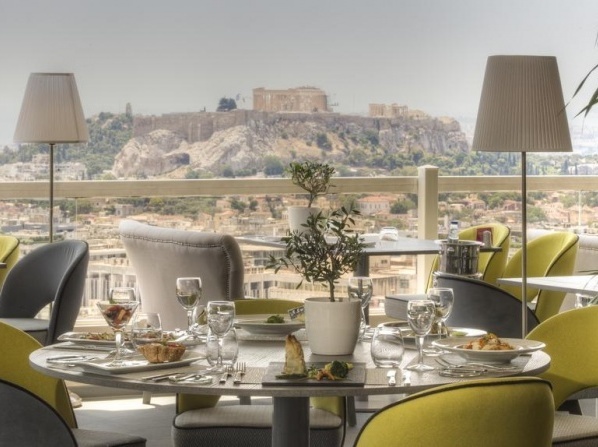 "Athenaeum Intercontinental" is centrally located and features the largest hotel guestrooms available in Athens and a renowned rooftop restaurant with a magnificent view to the Acropolis. 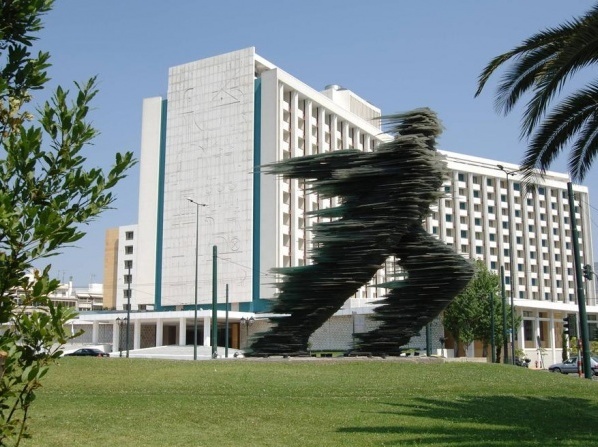 The "St George Lycabettus Hotel" offers 154 contemporary bedrooms and suites, carefully designed for ultimate comfort and relaxation in Athens. 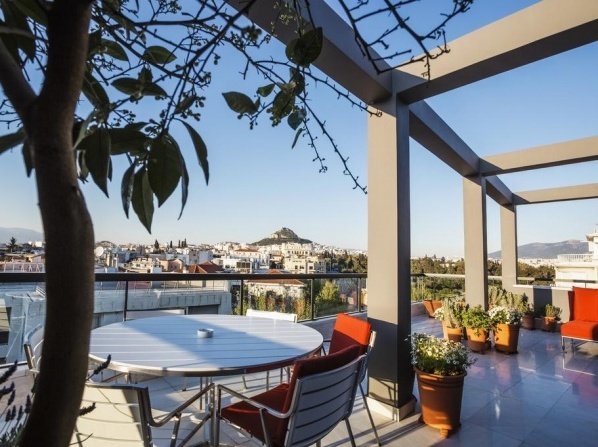 Many of them offer breathtaking Acropolis views and updated eco-chic features. 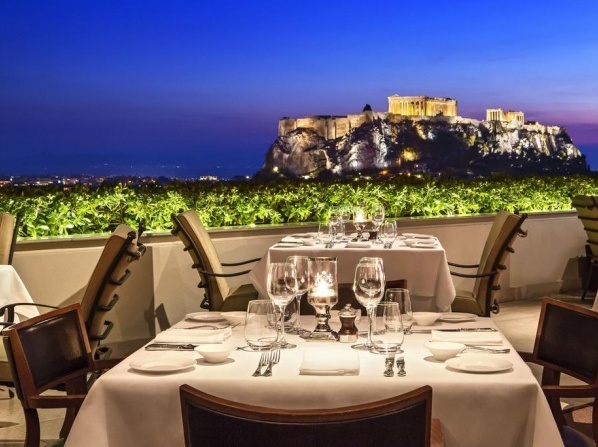 With 102 rooms and suites, a Penthouse Suite with private outdoor pool overlooking the fabled Acropolis and an awarded restaurant featuring authentic Greek cuisine "King George" finds its best expression in the outstanding personalised service. 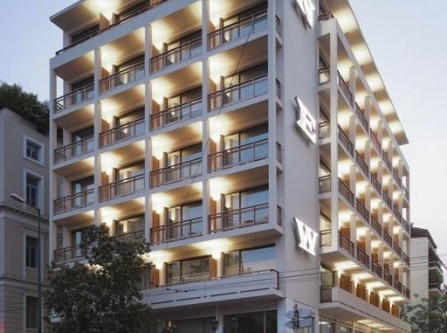 In the very heart of the historical Athens down-town, this hotel will become the starting point of your very own Athenian experience, since it is merely 400 metres away from the Acropolis but it also has a restaurant/bar at the highest floor which offers magnificent views of the Acropolis. 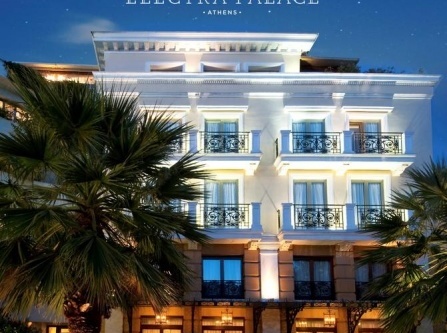 This boutique hotel offers luxurious rooms and suites inspired by the Greek history and past. 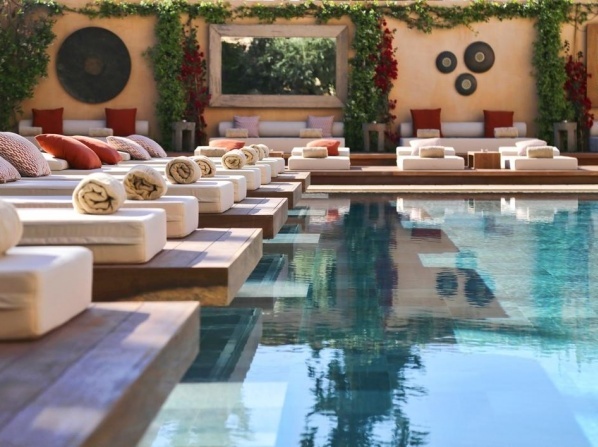 Apart from the accommodation, couples choosing to spend heir honeymoon at this hotel can also benefit from its facilities such as the gym and the restaurant, or its prime location and explore everything Athens has to offer. If you're seeking a different and unique honeymoon, make this art boutique hotel your destination and gear up for a luxurious treat. 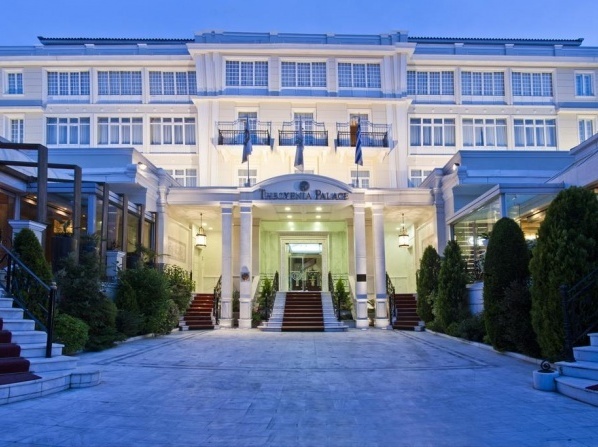 The hotel features a swimming pool in the centre of a garden full of trees and flowers, a very spacious and elegantly decorated business centre and a library where you can enjoy your drink or coffee while reading books. The hotel features 153 fashionable rooms and suites with marble bathrooms and free high-speed, wireless internet. During their stay guests can take advantage of an in-house fitness center complete with a sauna and steam room or relax during the summer months at the hotel's rooftop swimming pool. 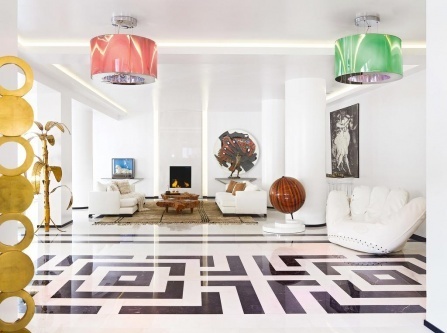 The hotel features an outdoor swimming pool with sun tanning furniture, art gallery exhibition in all public areas, parking facilities and a business center. 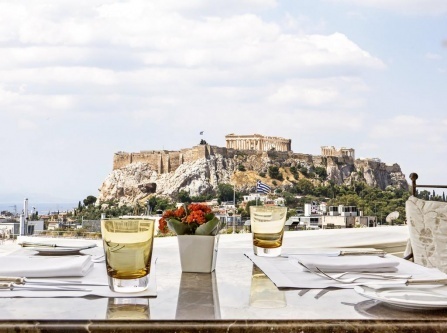 The "NJV Athens Plaza Hotel" features contemporary rooms and suites, with unique view to the Acropolis and it is ideal for those who choose to be close to major tourist attractions, archaeological sites, shopping districts and museums. 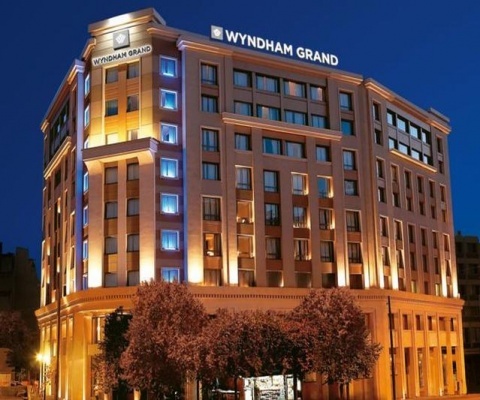 Luxury and comfort are the two main characteristics of the honeymoon you're about to spend at Wyndham Grand Athens, which offers wonderful views of the city and provides the most idyllic setting for your romantic trip. 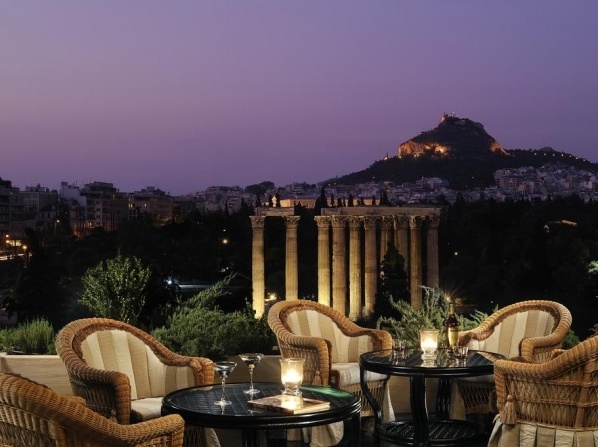 View all hotels in Athens.